Road trips need preparation above all else so that you can relax and leave the rest of the journey up to chance, discovery and surprise. Remember the three S’s: Snacks, Safety, and Stuff to do. For the latter, these ten board games are fun activities for late nights, stops at diners and long days at the side of the road with flat tires (fingers crossed that one isn’t necessary). Road trip games need to be highly portable and grab-able and take up as little space as possible so that you’re left with plenty of room for skis, picnic baskets, tents, and friends. Luckily these ones meet all those criteria. This carrying case can be slung over your shoulder as you run to the beach, forest or an unexplored cave. The magnetic features prevent loss of pieces and pollution of the natural wonders you may discover on your trip. They also allow for play while in a moving vehicle, as things won’t slide back and forth and lose your place – so this can be whipped out on a long bus ride or in the backseat of a party van. The leather finish gives this game a mature feel, and when it’s zipped up it isn’t obvious that you’re carrying a toy with you – so you can still look cool in front of everybody at the gas station. This is a portable, compact version of the nostalgic and addictive classic game of Connect 4. Trays at the bottom of the grid hold pieces for when you don’t have enough table space and the trays fold up onto the playing grid when your game is finished, keeping everything safe and organized. This is a great Grab and Go game for families with small children, and easy to pull out in a tent or van for rainy day distraction. 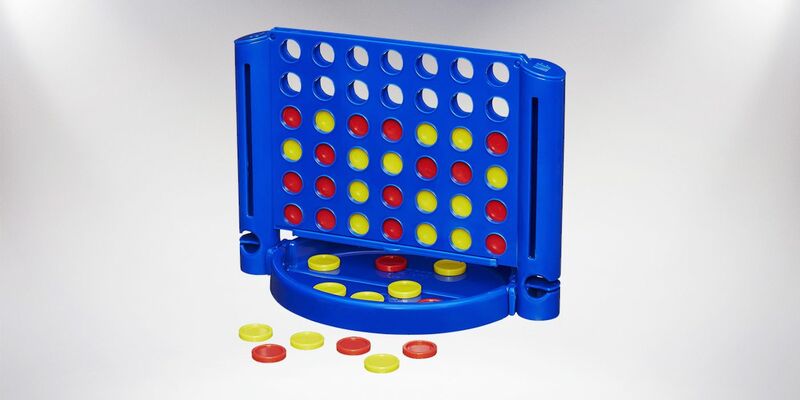 The game is simple: one player is yellow, one is red, and both are trying to connect four tokens of their color in the grid (while blocking their opponent’s attempts at the same time). This is a 20-minute bidding and bluffing game for 3-7 players. Each person pulls cards with points – but with this game, you want to avoid points as much as possible. Chips allow you to skip pulling a card (saying, “No thanks!”) and keep your total as low as possible. This was one of Board Game Geek’s top 100 family games and is perfect for on-the-road gameplay. Because the cards and chips are loose, it’s best used during a stop on your voyage, as opposed to playing on a bus or a backseat, trying to balance everything as you ride. This is fast-paced and the perfect length for a rest stop break to refresh before returning to the wheel. This is a 2-4 player game and comes in an easy to carry pouch. Gameplay is only about 15 minutes, so it’s a great game to fit in during a coffee stop or right before dinner. In this game, players take on the roles of lovesick princes, vying for the attention of a princess locked in a tower. 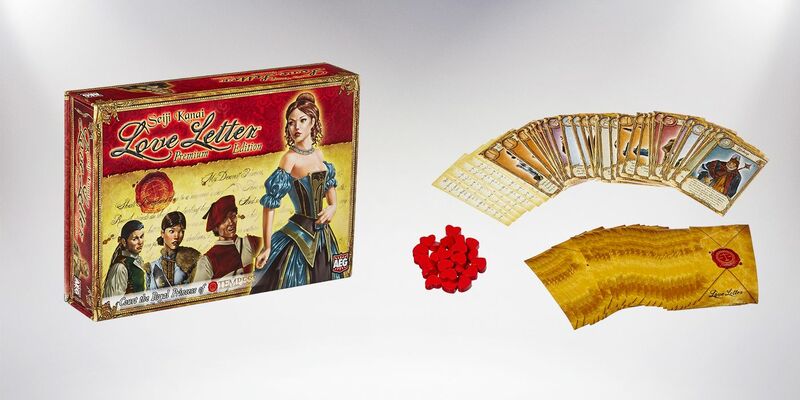 The objective is to get your romantic letter mailed successfully and delivered to the princess, before anyone else’s, and to deflect the other players’ letters in favor of your own. Choose between powerful and weaker cards, to avoid becoming a target but still remain in the race. This is a fun fantasy game with simple rules and uses a deck of only 16 cards, so the action of the game itself is compact and road trip-worthy. 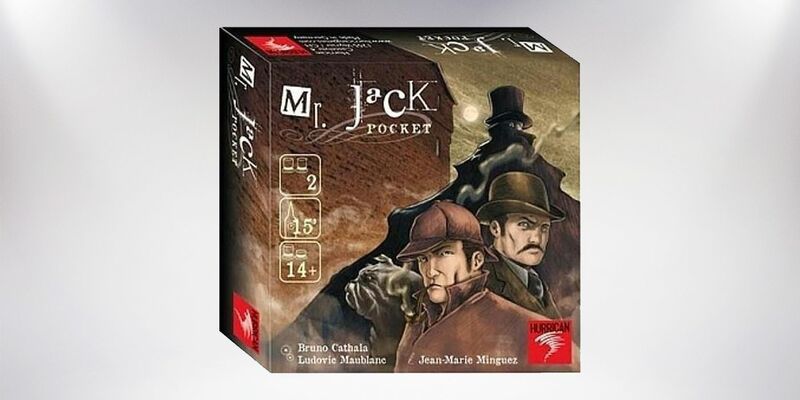 Mr. Jack comes in a little, compact box and is easy to store with limited real estate in your trunk or backpack. It uses 2 players only, nice for a one-on-one road trip with a loved one or best friend. Gameplay is only 15 minutes long and you’ll be able to finish your game before your fries arrive at the roadside restaurant. This is a deduction game where investigators try to eliminate suspects until they find the true identity of Jack the Ripper. One player hides from sight and the other chases them down in this fun, easy-to-learn game of cat and mouse. The game takes place throughout the creepy streets of late 1800s London, sure to strengthen the theme of adventure and suspense on your highway journey. 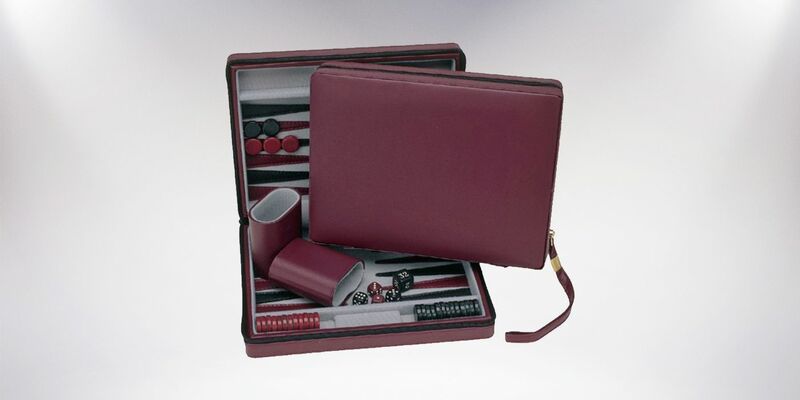 This game has no board, and pieces can be carried in a portable pouch during your travels. As the pieces are played, they create the board (otherwise known as ‘the hive’), and each player is designated light or dark tokens. The players battle to be the first to capture each other’s Queen Bee, by surrounding them with pieces of their own color. Players use blocks to prevent the opposition from surrounding their own queen, and beetles, grasshoppers, spiders, and soldier ants appear on the tokens, each with their own characteristics and moving abilities. This is a simple game, fast to pick up and with a short game time of 20 minutes. 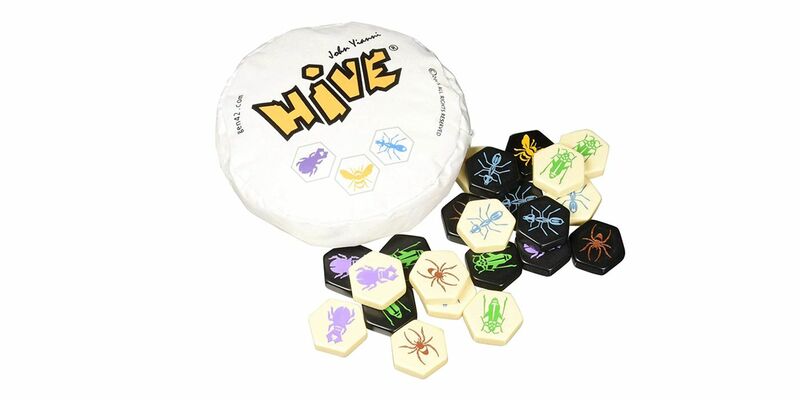 Hive is essentially an easy version of chess, with no board and plenty of bugs. The thought can cross your mind when coasting along desolate roads that if the zombie apocalypse were to happen, this is the car you’d use to travel to abandoned Walmarts and warehouse shelters. Dice games are tiny and easy to transport anywhere – they can even be shoved into your dash before embarking on a 16-hour car drive. 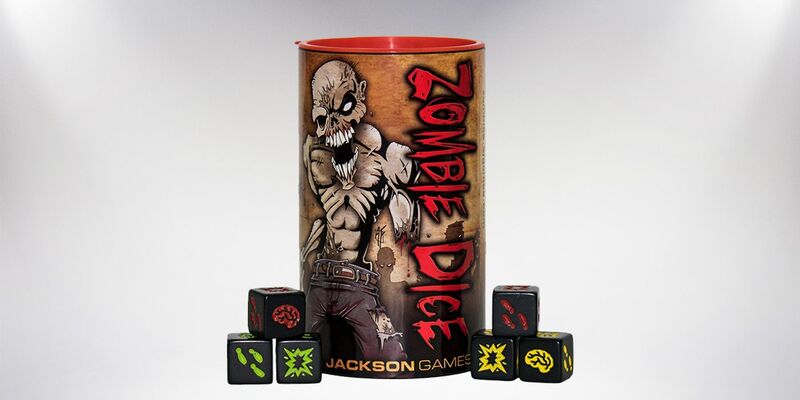 Zombie Dice can be stored inside the cup that it comes with, and works for players aged 10 and up (who are comfortable with a creepy zombie apocalypse theme). Simply roll the dice and collect as many brains as you can while avoiding shotguns. The dice come with three levels of difficulty – green is easiest, yellow is medium and red is difficult, for those with the biggest braaains of all. 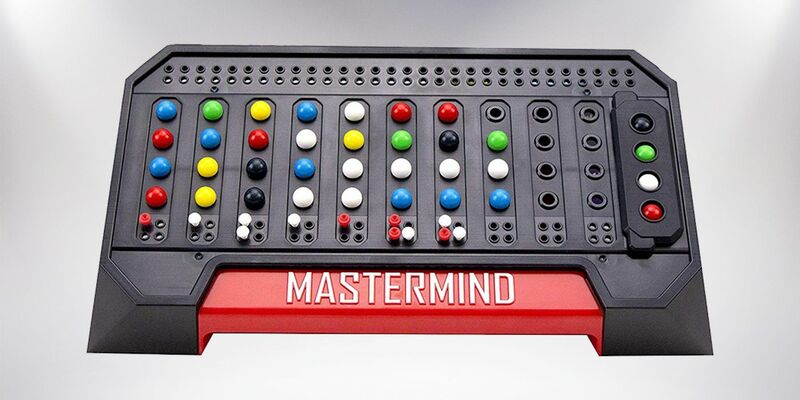 One of the simplest but most entertaining strategy games of all time, Mastermind has two players take turns creating and solving codes, made up of colored pegs arranged into holes on a board the guesser can’t see. This is an easy deduction and logic game, with over 2000 possible code combinations. Codemakers give clues to the guesser, using strategies like multiples of one color and empty peg holes to throw off their reasoning. 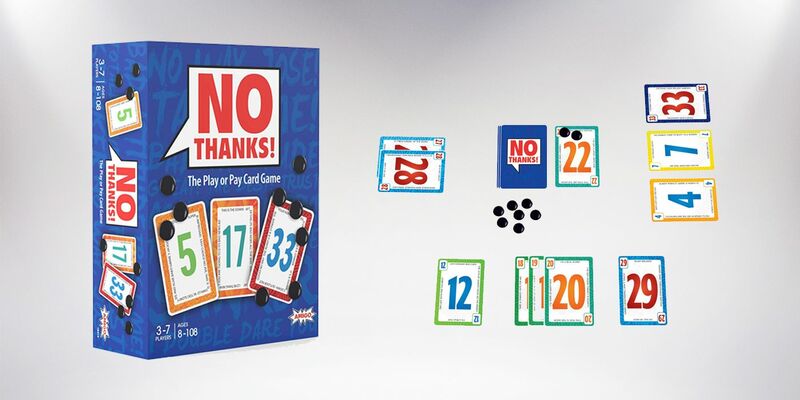 The pegs fit snugly into the holes and the board is compact, so this game could be played on the move or roadside, whenever the urge strikes to test your code-cracking capabilities. The set is real wood and folds easily for travel. 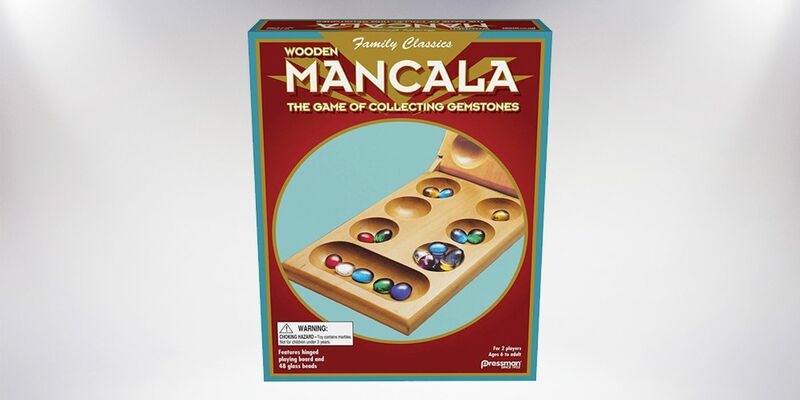 Mancala is one of the world’s oldest, longest played games and thought by some to have existed in Ancient Egypt. The gameplay uses small stones placed into pits in the wooden board and is a fun, light strategy game for two players. Players take turns scooping up and placing a stone, trying to capture stones and win the game. It is easy enough for ages 6 and up, but the counting and strategy is still challenging enough for older players. Whether this is to have on-hand for youngsters while on a family trip, or for late nights on an epic camping trip with your sweetheart, the bare bones design and pieces are soothing for a late night after a long drive. 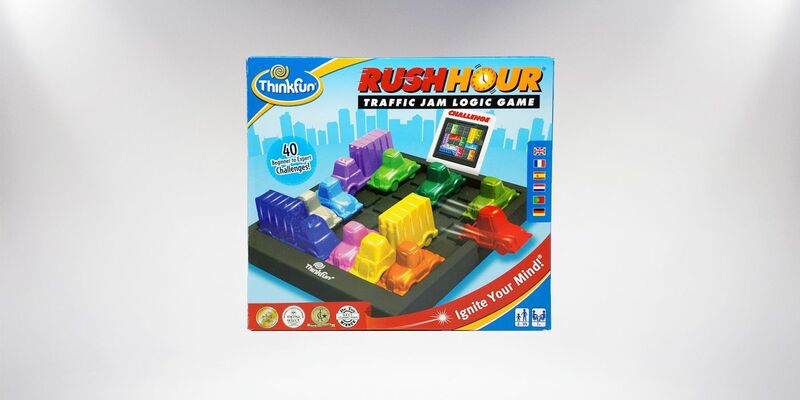 The pieces of this 1-player logic game fit into the board, so they won’t be sliding around or falling out when you’re rushing to your next destination (or stuck in a stop-and-go jam). This is a puzzle-solving game for ages 8 and up, with 40 challenges that range in difficulty from beginner to expert level. The solo player slides trucks and vehicles blocking their path out of the way, to eventually reach the board exit with their own little red car. It comes with a game-go bag for storage, and is a great option to have on-hand for solo road trips when you have tired eyes and don’t want to be staring at your phone on your break. It’s also great for a little one accompanying you in the passenger seat, or can be passed around a group as each person solves the puzzle.